Standard Deluxe Roman Blind Kits: Are available as 1:1 ratio for blinds upto 6 Kilos, and 4:1 for blinds upto 8.5 kilos. The 4:1 kits include a made to measure chain which ensures compliance with the current child safety legislation. All our kits are fully compliant and child safe. Deluxe cassette roman blinds kits 1:1 Ratio winder suitable for blinds upto 6Kgs. High quality aluminum roman blinds kits, everything you need to make a perfect roman blind is included. These kits come complete with: fully corded headrail, pvc rods, sew on rod pocket, bottom bar, fully approved and tested chain safety "p" clip, fully tested rear cord safety clips, sew on velcro and instructions. White, Chrome, Bright Brass or Antique Brass Chain. Delivery 1-3 working days. Deluxe cassette roman blinds kits 4:1 Ratio winder suitable for blinds upto 8.5Kgs. High quality aluminum roman blinds kits, everything you need to make a perfect roman blind is included. These kits come complete with: fully corded headrail, pvc rods, sew on rod pocket, bottom bar, fully approved and tested chain safety "p" clip, fully tested rear cord safety clips, sew on velcro and instructions. White, Chrome, Bright Brass or Antique Brass Chain. In order to supply these blinds "Child Safe" we will need you to submit your installation height, this is the distance between the top of your blind and the floor. We will supply the control chain the correct length to finish 150 cms above the floor which will ensure it is compliant. Delivery 1-3 working days. Made to measure roman blind kits - supplied to your exact size requirements. 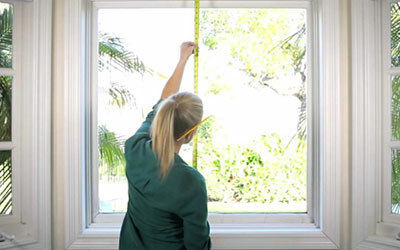 Simply enter the width and drop of your window for a price, and we do the rest. All our kits are fully compliant with the latest child safety legislation. 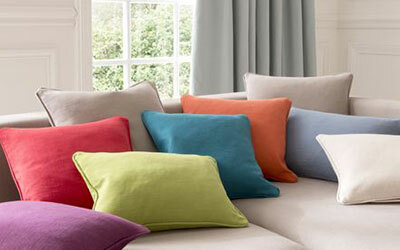 Options include 4:1 ratio for heavy weight roman blinds and a selection of chain colours. Browse our new range of motorised roman blind kits. These high quality kits come with a wide range of options. From our basic Decorquip system which can be configured to run from a 240v plug top transformer or re-chargeable lithium batteries, right through to our Beck motors systems which will integrate seamlessly with your KNX,Creston, LightwaveRF and Control4 smart home systems. We can advise you on what is required and provide schematic drawing for larger installations. From homes to hotels we can automate just about any size or type of made to measure roman blind, in just about any fabric. 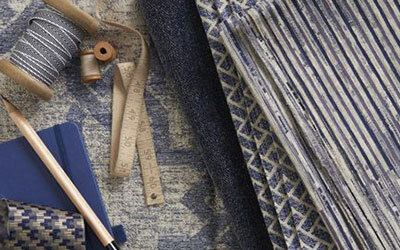 High quality linings suitable for making curtains and roman blinds. Pieces upto 10 metres come folded, over 10 metres come on a roll. Despatched within 48hours. Made to measure curtains, made in your own fabric. Made to measure roman blinds, made in your own fabric.